It fills me with great pleasure to be announcing the Legal 100 – 2019 and the select 100 leading professional firms and individuals, globally, who are noted for their individual areas of specialization, within their geographical locations. Over the last 12 months, we have analysed in excess of 102,575 votes, either provided as self-submission or via third party nomination, and we are now able to provide a comprehensive breakdown as to who are the Legal 100 – 2019. The world’s leading professional firms and individuals are called upon to assist with transactional and corporate matters continually. Helping the corporate team on matters of vital importance in areas associated with the geographical location and the sector that a business may operate within. Regulatory, compliance, property, environmental, fund formation, technology, employment law, banking, corporate, M&A, private equity, insurance & due diligence amongst others all rank high on the agenda. Recognizing the experience and skills that many of the developed nations have, we know how important it is to be recognized as a leader in your field of expertise. Lawyer International’s – Legal 100 – 2019 – Awards recognize a select number of leading professional firms and individuals, across the globe, for their individual areas of specialization, within their geographical location. During the judging process a number of factors are considered. The voting readers are asked to identify those firms and individuals that are noted for having a high degree of ability in complex situations, those that continually innovate, level of service is of great importance as is overall value for money, in what is a tough global economy. The Legal 100 – 2019 – Awards will provide the Global readership with a definitive guide to those firms, and individuals, that truly are the most able, within all areas, across all geographical locations that the monthly magazine reaches. Across all regions, it is important to recognize that many firms and individuals are notable, and very able, but few can really consider themselves as being the firm and individual of choice within a certain practice area, or practice areas, within a specific geographical location. The Legal 100 – 2019 – Awards exist to showcase those firms and individuals that continually provide the client with an outstanding level of service, demonstrating an incredibly high degree of ability, whilst delivering the outstanding results that are synonymous with firms and individuals of this calibre. Nominations were received across our entire global readership, a judging panel consisting of in-house counsel, individuals within both the world of Banking and Private Equity, as well as corporations, both public and private. We have also received a large degree of nominations from the Corporate Finance industry, from senior individuals within areas such as Investment Banking, as these individuals will often experience the sheer tenacity of the those involved in transactions alongside them and the other advisors, required within the transaction team. In summary, for a firm and individual to be recognised as a winner in Lawyer International’s – Legal 100 – 2019 – Awards there needs to be evidence of unquestionable ability, endorsed with positive comments from both clients and peers. The Legal 100 – 2019 special edition will be published shortly. 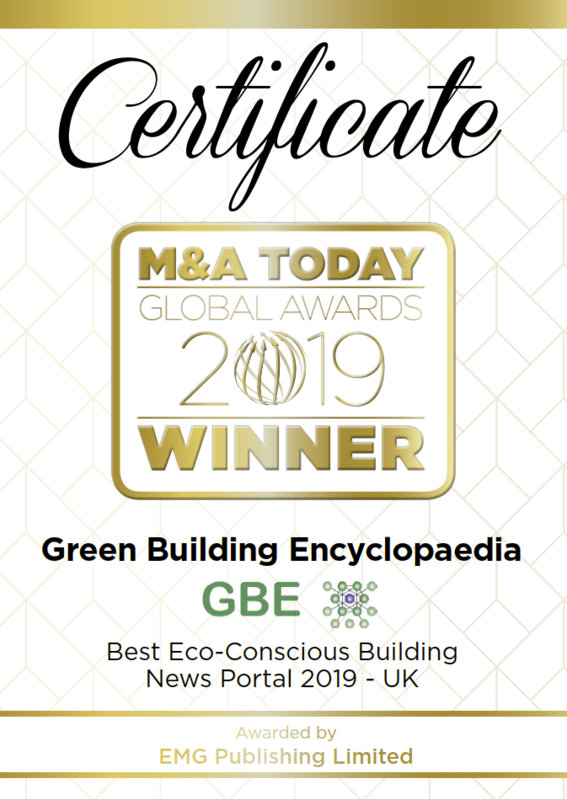 Award for Excellence in Environmental Consultancy Solutions 2018 – UK National Green Specification Ltd.